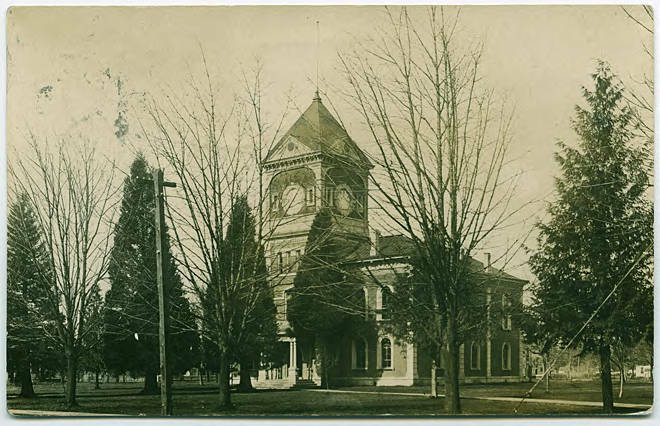 Photograph of the old Hillsboro courthouse, which was demolished in 1928. A letter from Edith Pechin concerning school is written on the reverse. [back] Hillsboro, Oreg. ; Oct 25, '09; Dear friend - At last I have been able to find a card that I promised you while in Salem. Our institute begins Wed. and continues three days. Hope you will drop me a line and let me hear from you. 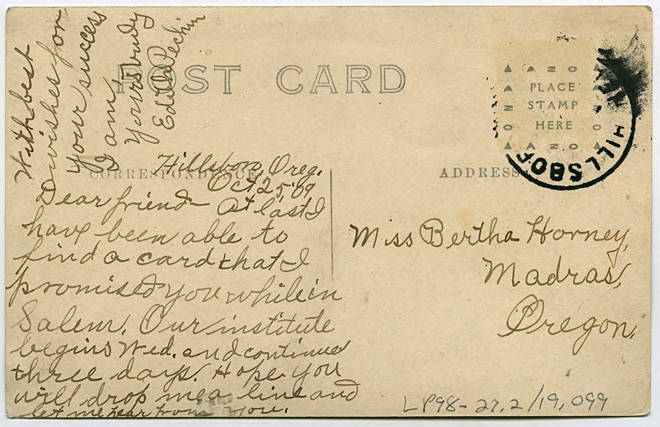 [continues at top] With best wishes for your success I am yours truly Edith Pechin; [addressed to] Miss Bertha Horney, Madras, Oregon.